Say goodbye to snoring forever with this simple little device! 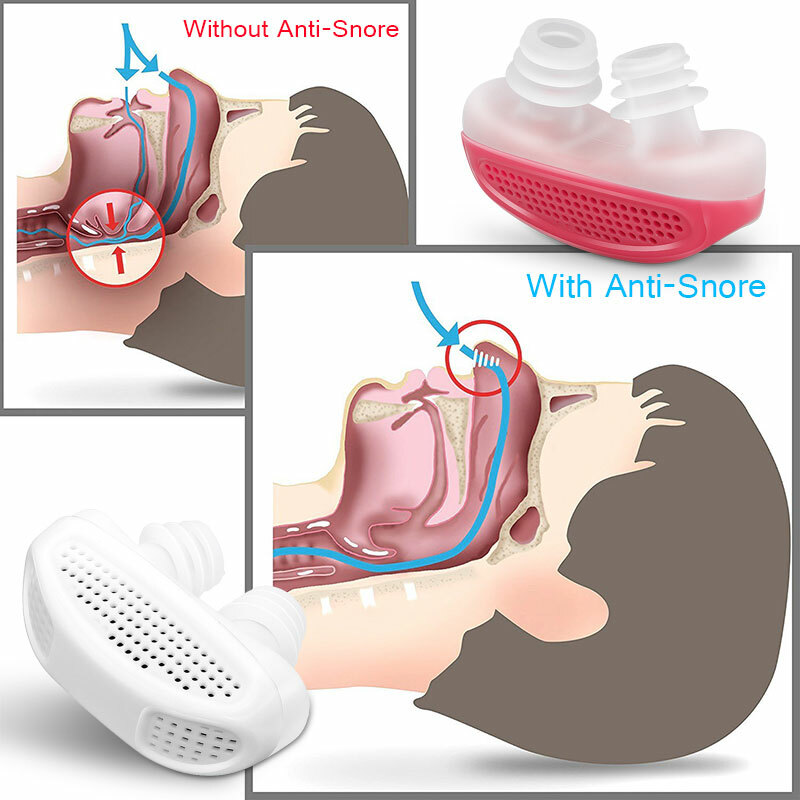 A new patent-pending snoring aid breakthrough technology to treat snoring sleep apnea that people will actually use, purifying air pollution makes breathing easier! You and your significant other can finally sleep in peace. No medicines, injections or surgical procedures. As simple as plugging into your nose before sleep. Built-in air purifier cleans and filters air. Soft silicone, designed to stay comfortably in your nostrils all night long.